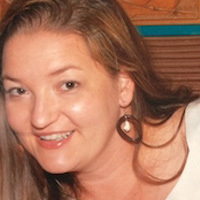 Kate received a bachelor’s degree in Chemistry from Duke University and a PhD from the Department of Neurobiology and Behavior at UC Irvine, where she studied in the lab of Tom Carew. 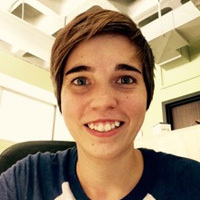 Following postdoctoral research in the lab of Peter Kalivas at the Medical University of South Carolina, Kate joined the Department of Psychology and Neuroscience and the Neuroscience Curriculum as an Assistant Professor in 2013. 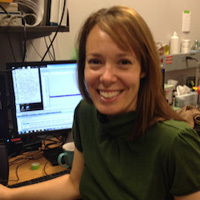 Kate accepts graduate students both through the Behavioral and Integrative Neuroscience (BIN) Program in the Department of Psychology and Neuroscience as well as through the Biological and Biomedical Science Program (BBSP) Neuroscience Program. Cocaine addiction dysregulates neuron-astrocyte communication in different brain areas, which correlates with relapse to drug seeking. My research interest is to elucidate the mechanism by which cocaine disrupts this communication using whole cell patch-clamp recoding, immunohistochemistry and Western blot. In addition, I’m also interested to develop new treatments to prevent relapse, and toward this I’m studying the effects of aerobic exercise-induced neurophysiological changes in the reward circuitry from rats with a cocaine history. Previously, as a graduate student in Dr. James Porter’s Lab at Ponce School of Medicine in Puerto Rica, I used whole cell patch-clamp recoding to study the role of metabotropic glutamate receptor activation in fear extinction-induced synaptic plasticity in the infralimbic cortex. Ron received a bachelor’s and master’s degrees in Psychology from Stony Brook University, where he used neuroimaging methods to study how the dopaminergic system changes as a consequence of drug abuse. 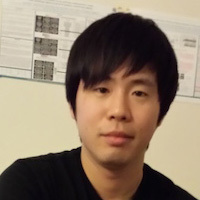 In the Reissner lab, Ron studies how epigenetic modifications on the astroglial glutamate transporter GLT-1 impact cocaine seeking. Anze is an international student who came to UNC-CH from Slovenia. There he did his bachelor’s and master’s degrees in Biology and Molecular biology, respectively. For his MSc thesis he studied dynamics and consequences of interactions between nanoparticles and biological surfaces. Before joining the graduate program at UNC, he spent a year as a research assistant in Professor Oliver Smithies’ lab at UNC studying kidney filtration models and developing new in-house made nano-tools for it. After being accepted into the UNC Biological and Biomedical Science Program (BBSP) he decided for an early career change and picked up his semi-secret love, GLIALscience. 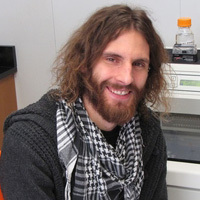 In the Reissner lab, Anze strives to better understand astrocyte morphology and function under normal and drug-induced conditions using viral injections, confocal imagining, in-vivo endoscopy and computer modeling. Emily graduated from East Tennessee State University with a Bachelor of Science in Psychology and a minor in Biology in 2015. 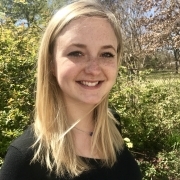 She worked as a research assistant with Dr. Matthew Palmatier investigating the role of cholinergic interneurons in the nucleus accumbens in nicotine reinforcement before being accepted as a Behavioral Neuroscience graduate student at the University of North Carolina at Chapel Hill in 2016. 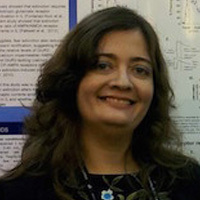 Her research focus within Dr. Reissner’s Lab is determining how self-abstinence due to punishment affects astrocytes and subsequent motivation for cocaine. I have a BS in Animal Sciences from the University of Maryland. I worked at NIH as a biologist for 12 years. Natalie is an undergraduate student who joined the lab in May of 2017. She will be graduating in May of 2019 with a Bachelors of Science in Psychology, and in the meantime is completing honors thesis in the Reissner lab. She is using patch clamp electrophysiology to investigate the effects of cocaine self-administration on the cellular properties of astrocytes.